The 1 on 1 Scoring Under Pressure hockey drill works on getting your players to practice scoring under pressure. The attacking player has tight pressure coming from the side and behind, which stresses the need to work on puck protection. • Player 1 sprints in to score. 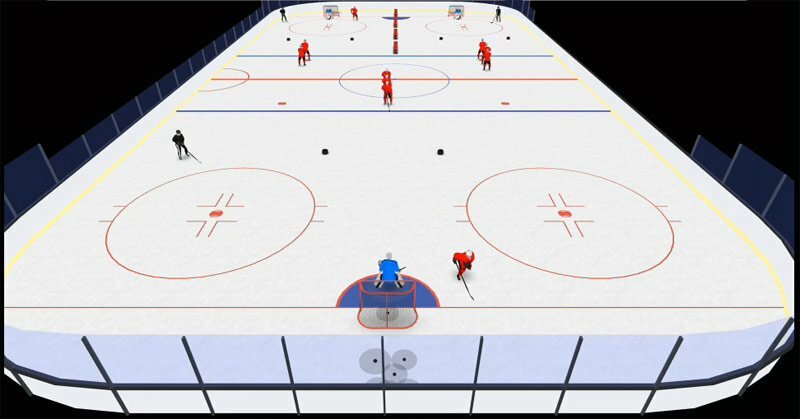 • After the shot, Player 1 goes behind the net to pick up a puck. They drive back towards the line and then pass to the next player in line. • The player that receives the puck must now skate on the outside of a cone (or tire) to attack the net. Next articleThe Ringer: Do They Help or Hurt Your Team?